As far as luxury commodities go, Louis Vuitton’s recent indulgence in technology seems to be creating an uproar. 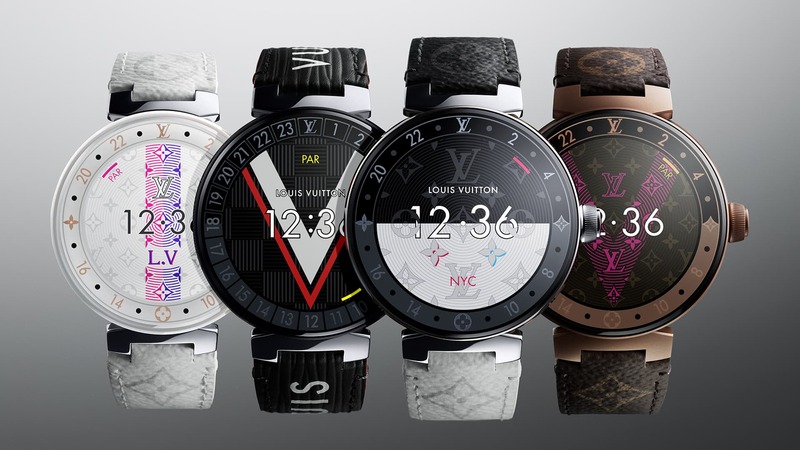 As a much-anticipated entrant in the luxury tech industry, Louis Vuitton debuts three of the hottest tech commodities of January 2019. 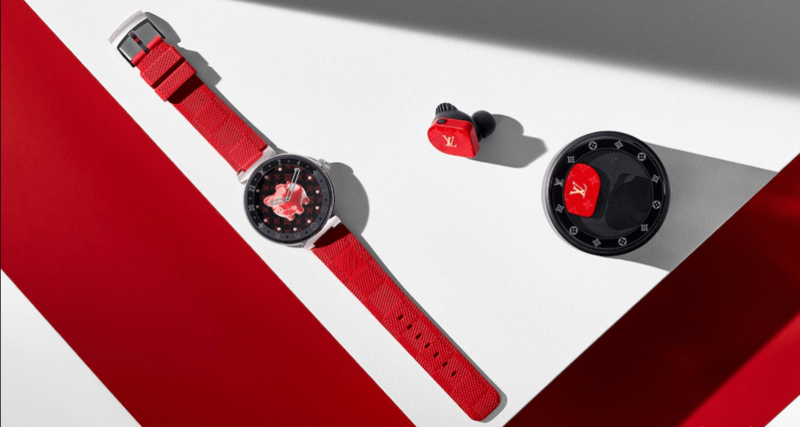 Perfect for any luxe-bohemian, the signature LV Jenga set, the second iteration of the Tambour Horizon smartwatch and the ultra-luxe monogram wireless Horizon earphones which was in collaboration with New York-based audio house, Master & Dynamic. While all three products serve three completely different forms of utility, they all express a common essence of ultra-luxe functionality apart from just being a stylish piece. This goes on to suggest a radical new vision for Louis Vuitton’s 2019 calendar, we think. While the standard wooden set would fetch for about US $20 dollars or Rs. 1,200 in India, the Louis Vuitton Jenga Set costs $2,460 or Rs. 1,75,000 (Approx.). 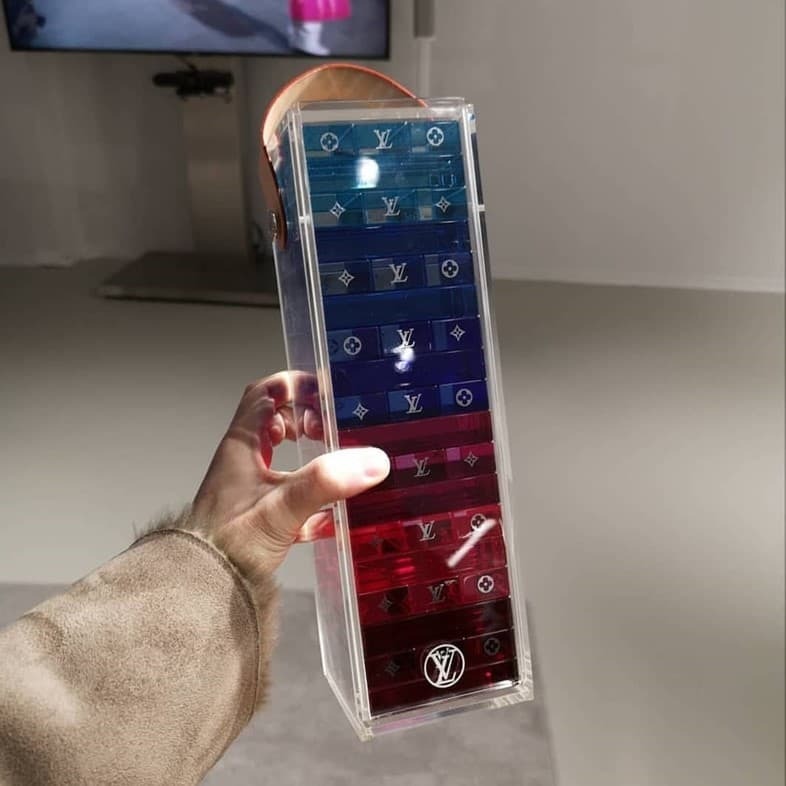 Instead of wooden blocks, Louis Vuitton’s version is comprised of plexiglass cubes with the LV monogram. Same rules, same dimensions just a better prize and some classy Louis Vuitton watermarks. The 54-brick Jenga set was unveiled after the second menswear collection show with their new creative director, Virgil Abloh. There’s no official word on when we can expect this ultra-luxe game to hit retail or online stores. The new Tambour Horizon capsule encompasses the French fashion-house’s spirit of travel, craftsmanship, and creative values. Compared to its predecessor from 2017, the capsule now features a variety of new features, colours, patterns and a whole new sense of aesthetic. While the watch’s time display is essentially digital, you can now personalize the dial of your chosen face with initials. 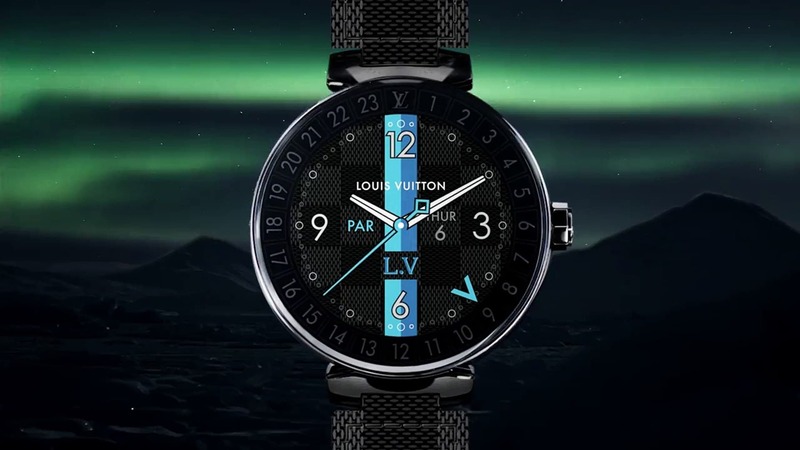 The Tambour Horizon’s digital mode has been graced with numerous motifs, including a Monogram Damier, a “V” for Gaston-Louis Vuitton and Monogram flowers. The watches come in polished white ceramic, polished steel, matte black PVD, white ceramic, white ceramic with diamond-set horns, and matte brown PVD with inter-changeable straps. The digital timepiece syncs with your smartphone and displays notifications, weather updates, battery life, travel details, etc. Additional smart functions include a personal agenda, step counter, and a pollution monitor that displays the air quality index in real time. This ultra-luxe women’s smartwatch has been priced at $4,450 in America, yet the 2017 model is currently priced at Rs. 6,90,000, we could be looking at a similar, if not higher price-tag for this model in 2019. For a while, Apple went head-to-head with Bang & Olufsen in the ear-pod market. The third-act-twist came with Louis Vuitton’s Horizon earphones and well, effortlessly upped the game. Set to go for retail this year, LV collaborated with Master & Dynamic to craft a US $995 pair of ear-pods or ear-buds. The earbuds come in four colourways, the minimalist-yet-bold red monogram, jet black, classic white, and yellow and blue LV striped monograms. They offer up to three-and-a-half hours of listening time on a single charge. Perfect for on-the go indulgences, the Bluetooth-enabled headphones are also compatible with both Apple and Android devices, including Siri and Google Assistant softwares, respectively. Price: US $700. A watch aficionado, Gomes also enjoys learning about fine whiskies, and one day hopes to establish his own menswear label. At Lifestyle Asia India, he writes on watches, menswear, auto and tech.